TERESHKOVA, VALENTINA. (b. 1937). Russian cosmonaut who was the first woman and first civilian launched into space. SP. (“Tereshkova”). 1p. Postcard. N.p., N.d. A colorized bust portrait of the celebrated cosmonaut in civilian dress but wearing medals for Pilot-Cosmonaut of the USSR and Hero of the Soviet Union – the latter being the highest Soviet honor. 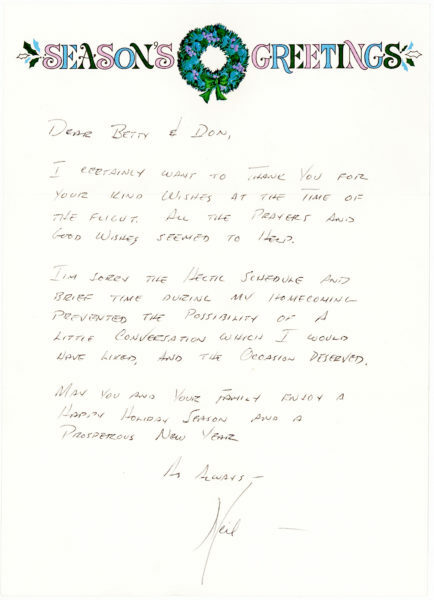 Signed vertically on the left portion of the image. 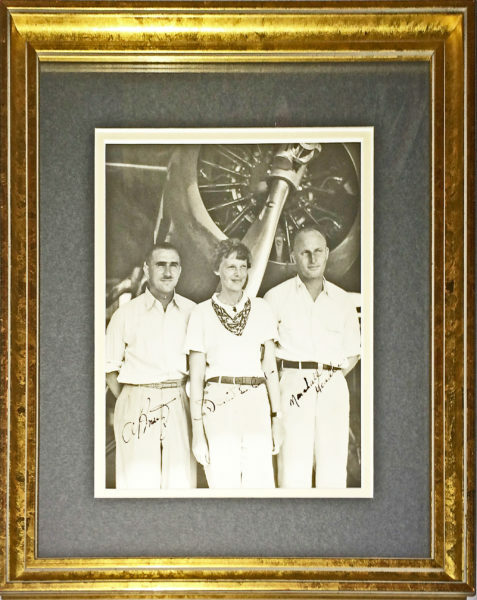 In the years following World War II, the Cold War pitted the United States and Soviet Union against each other in what was dubbed the “Space Race,” a contest to see which nation could gain technical superiority over the other. The 1957 Soviet victory of Sputnik 1, the first artificial satellite sent into orbit, was followed by another significant Soviet victory: launching the first human, Yuri Gagarin, into space on April 12, 1961 aboard Vostok 1. 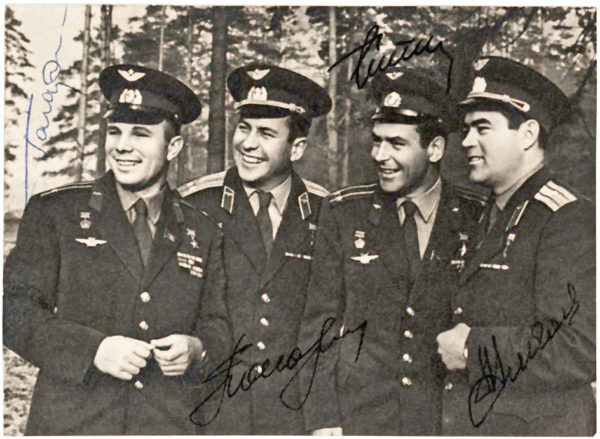 The Soviet program had been several years in the making and was accelerated with news that the Americans planned to launch a manned flight in January 1961. Ultimately, the American’s Mercury flight was delayed several times, allowing the Soviets to launch six Vostok flights during which history was made. 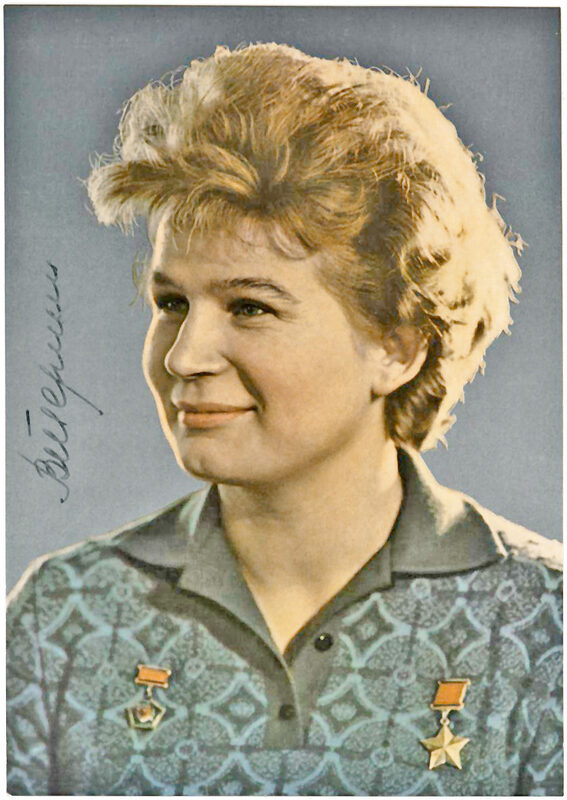 A textile worker and amateur skydiver, Tereshkova was one of five women selected from a pool of 400 applicants to join the female cosmonaut corps in 1962. After months of intensive training, on June 16, 1963, Tereshkova became the first woman in space aboard the Vostok 6 spacecraft, orbiting the earth 48 times over the course of nearly three days. She remains to this day the only female to complete a solo space flight. 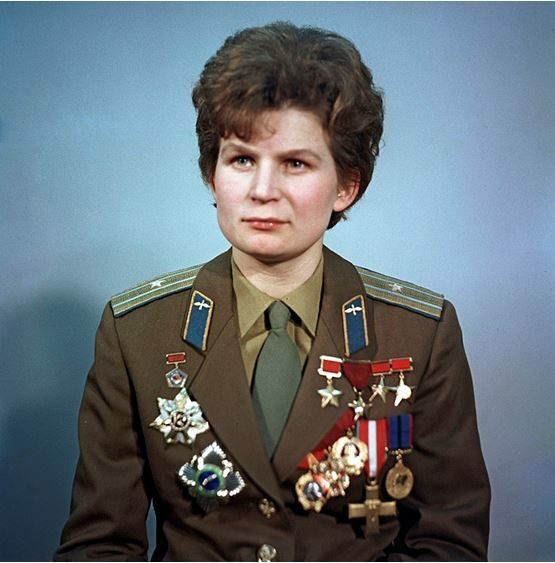 Tereshkova went on to graduate from the Zhukovsky Air Force Academy and earn a doctorate in engineering. Soviet leader Nikita Khrushchev presided over her 1963 wedding to cosmonaut Andriyan Nikolayev. Her prominence led to a political career during which she served as a member of the Presidium of the Supreme Soviet and the Central Committee of the Communist Party as well as filling a number of diplomatic posts.